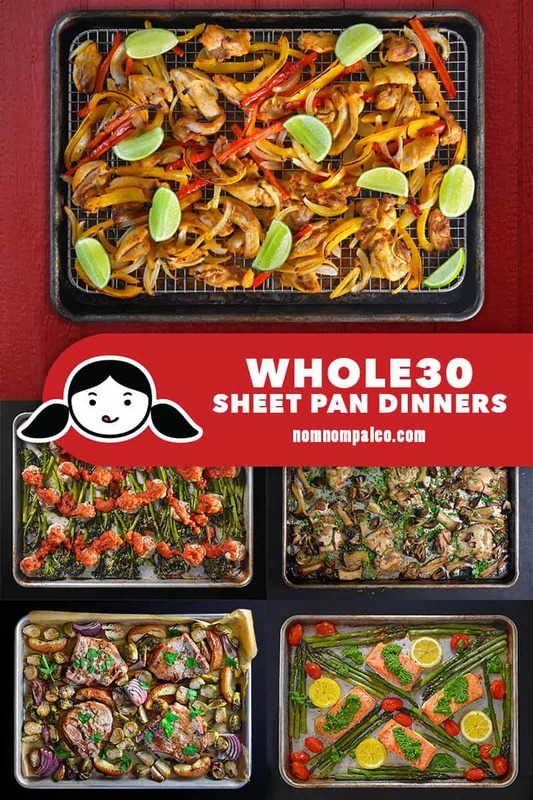 There’s nothing I love better than tossing veggies, protein, and flavor boosters onto a sheet pan, throwing it all in the oven, and calling it supper: Whole30 Sheet Pan Dinners to the rescue! Whether you love chicken, fish, pork, or meatballs, I’ve got you covered. And if you feel like adding extra veggies to your dinner, just cobble together a big green salad while your sheet pan dinner cooks in the oven. Your weeknight suppers have never been easier! 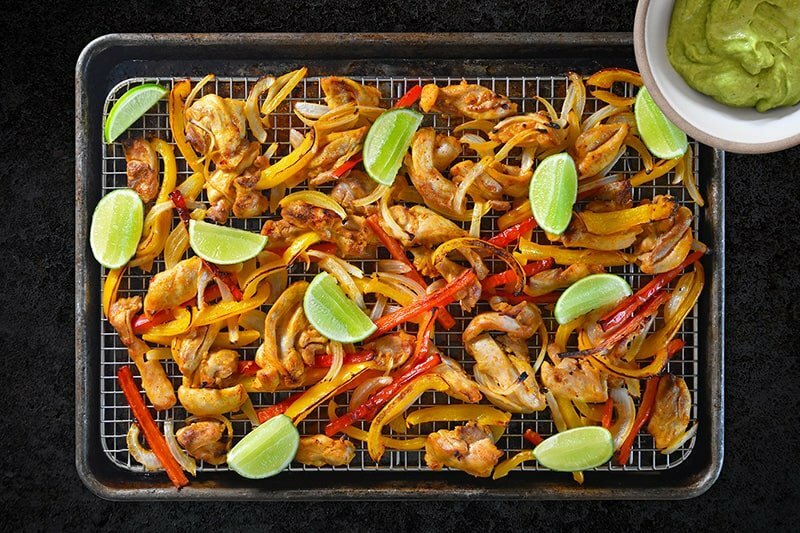 Sheet Pan Chicken Fajitas + Avocado Crema: Tired of soggy sheet pan chicken fajitas? I have the best technique for making fajitas PERFECTLY in the oven! 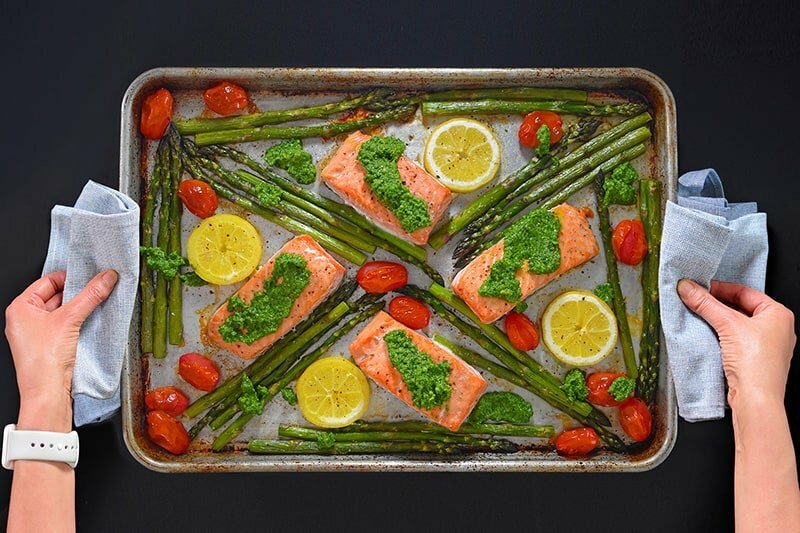 Sheet Pan Salmon Supper: This all-in-one seafood dinner combines some my favorite ingredients: buttery salmon, asparagus, and zesty pesto! 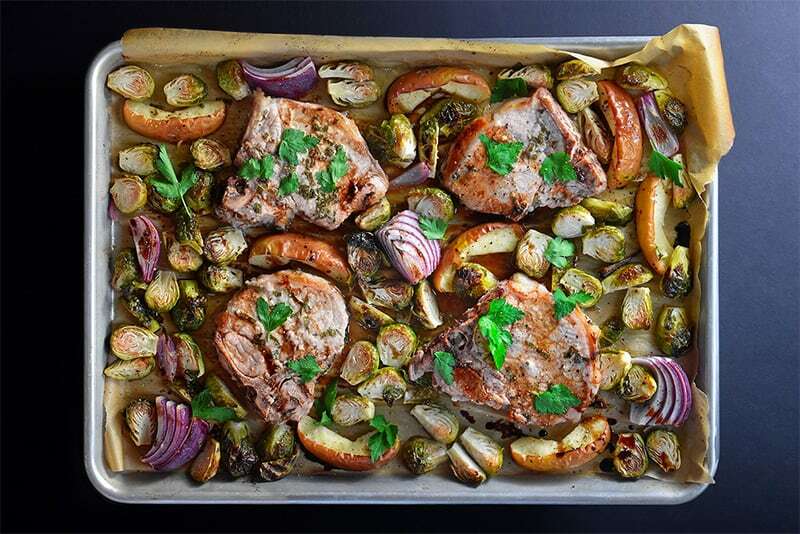 Sheet Pan Pork Chop Supper: Nothing goes better with pork chops than apples. Except maybe Brussels sprouts. Oh, and sweet red onions. And olive oil and lemon juice, too. Don’t forget some nice aged balsamic vinegar! 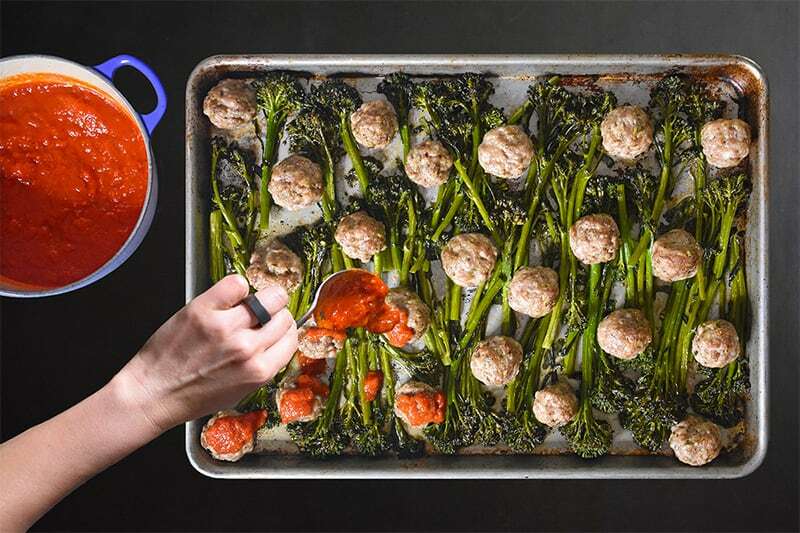 Sheet Pan Meatballs and Broccolini: The recipe for happiness? Meatballs and broccolini topped with marinara sauce. 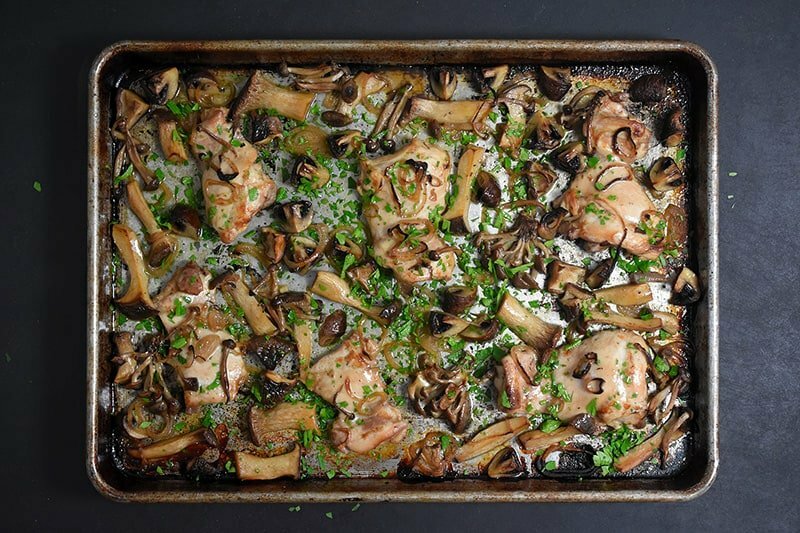 Sheet Pan Chicken and Mushrooms: If you love mushrooms as much as I do, you must try this easy and fabulously umami-packed sheet pan dinner! Want more inspiration from my past January Whole30s? Check out my Day 22 posts from 2018!